Be prepared to see Rainn Wilson in a whole new way. Rainn Wilson plays Det. Lt. Everett Backstrom, a police detective who has an oral fixation for cigars, drinks too much, and says all the wrong things. Think House meets Sherlock Holmes. Backstrom makes a living solving murders with a few familiar faces by his side: Dennis Haysbert (The Unit, 24, Allstate commercials) plays Det. Sgt. John Almond, a detective with a conscience, perhaps to balance out Backstrom’s lack thereof. Beatrice Rosen (The Dark Knight, 2012, Cuts) is Nadia Paquet, who is, from what I can tell, a civilian assistant or forensics expert. She poses as his only friend just so he can pass the many regulations set by Backstrom’s doctor, Dr. Deb Chaman, played by Rizwan Manji (The Wolf of Wall Street, Outsourced, Transformers). Dr. Deb mentions to Backstrom that he has to come back weekly to ensure his health, so I’m assuming we’ll be seeing a lot of Rizwan Manji in future episodes. Another addition to the cast is Backstrom’s gay, goth, maybe-related-to-him tenant Gregory Valentine, played by Thomas Dekker (The Secret Circle, Terminator: The Sarah Connor Chronicles, Heroes). Valentine seems to find out information that the other detectives can’t, “from the underground”, as Backstrom puts it. Now that you know about the cast and the juxtaposition Backstrom is in as the anti-hero, “bad boy” who’s really doing good in the world, you see the comparison to Holmes or House. The situation that this character and his entourage are in is nothing we haven’t seen before. That being said, I feel like this show has a place on television, even amongst the dozens of crime shows currently airing. 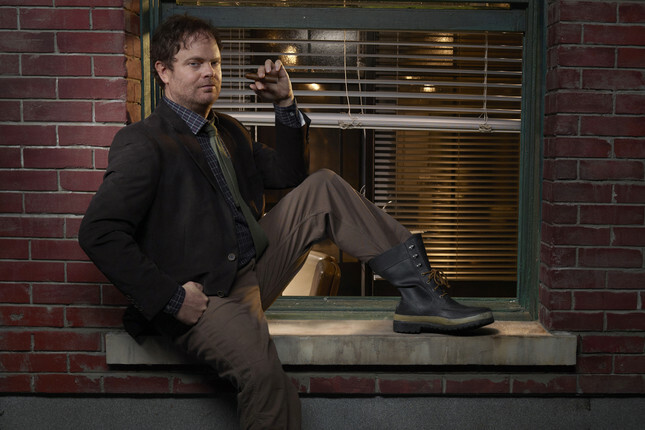 Backstrom is a dark character, which naturally brings about mystery and curiosity to the viewer. You get a small glimpse of Backstrom’s past in the first episode: his famous sheriff father, who also had a knack for beating Backstrom as a child; and his previous health problems which led him to working in traffic for a stint. There is a layered character here worth getting to know (at least for another episode or two). Yes, he’s a jerk who ironically breaks the rules of society and morality, whilst solving murders as a detective. But he’s a good guy deep down, and that’s what I’m hoping they reveal to us overtime. Check out Backstrom on Thursday nights, 9/8c on FOX.